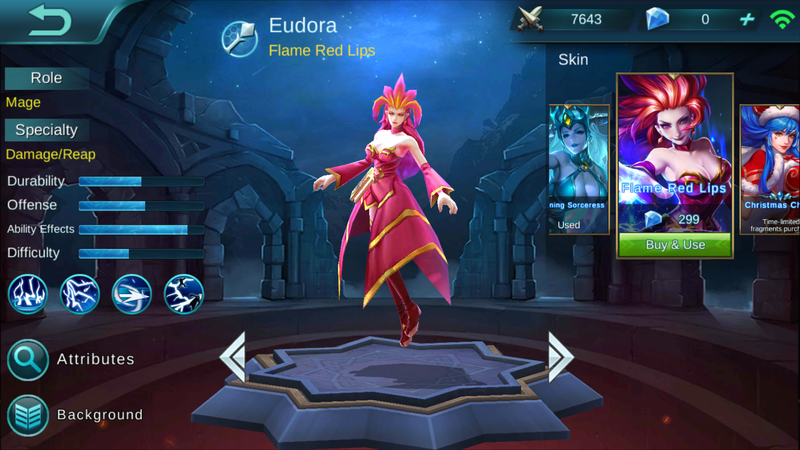 Eudora is a well rounded mage with good AE and a decent difficulty curve. 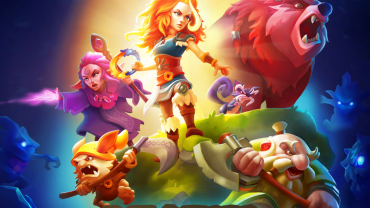 Use her to deal with minion waves her abilities are great for it. Description: Gives the target a Superconductor effect which will amplify the effects of other abilities. 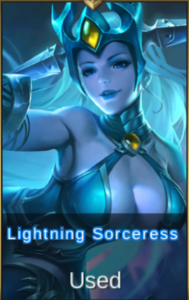 Description: Uses forked lightning to deal 320 magic damage to enemies in a conical area in front of the hero, also causing enemies who received a Superconductor effect to lose 25 magic resistance. Description: Strikes an enemy with a bolt of lightning, dealing 280 magic damage and stunning the target for 1s. Enemies who received a Superconductor effect will be stunned for an additional ls. 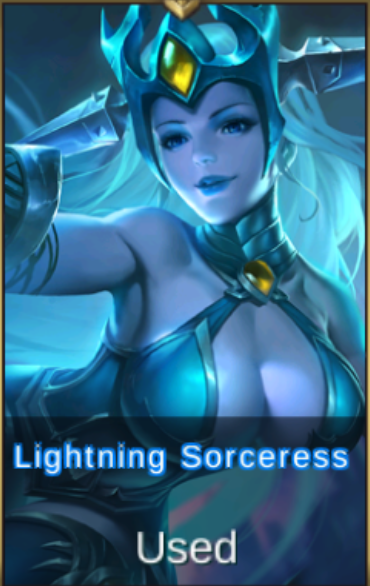 Description: Summons a great storm of lightning, dealing 400 magic damage to enemies in the area. Deals an additional 15% dmg to enemies who received a Superconductor effect. Deals an extra 15% damage if it only hits a single enemy. 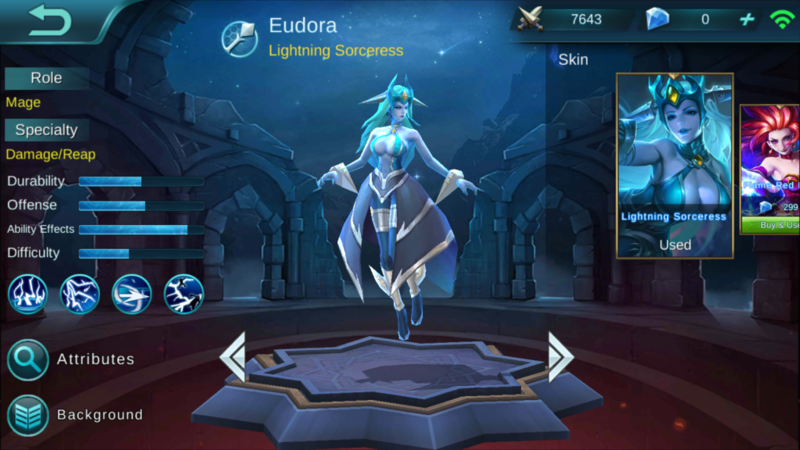 Ever since she was an apprentice wizard, Eudora’s special talent for controlling lightning always shocked (no pun intended) her many teachers. After a brief period of study, her teachers discovered she had already mastered all they had to teach her. 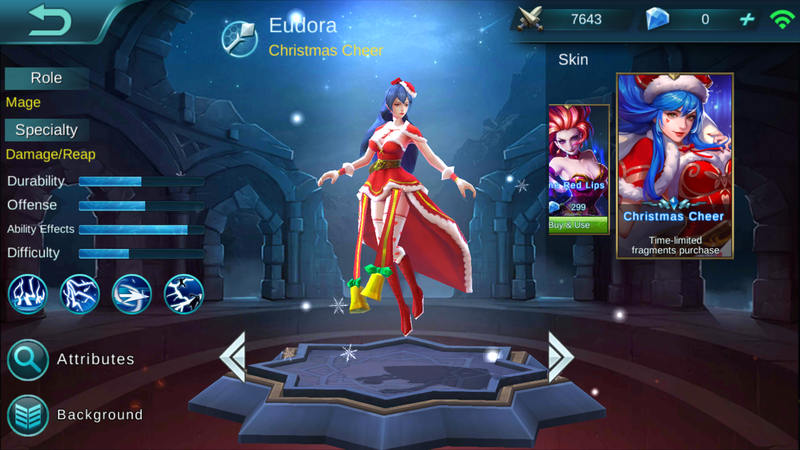 Yearning to continue her progress, Eudora set foot on the road to the Land of Dawn, believing that her lightning magic could reach new heights in that turbulent land.